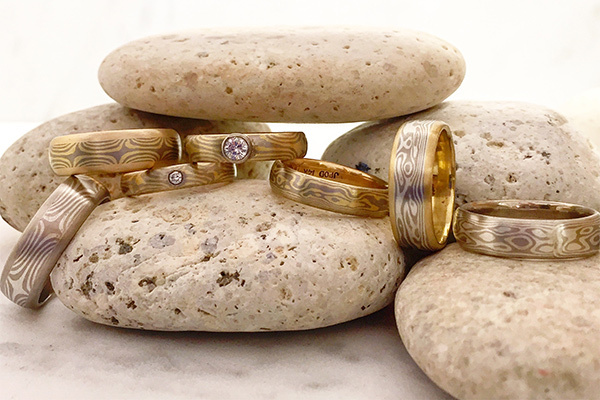 Mokume-Gane Wedding Rings. Prices may vary dependent on market fluctuations in the cost of materials. Please call the store for prices.